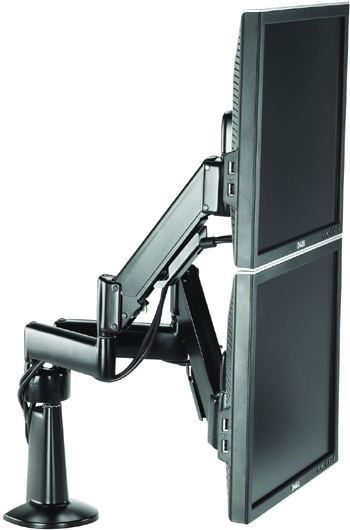 Chief Desk Mount LCD Monitor Arm KCY220 is expandable. 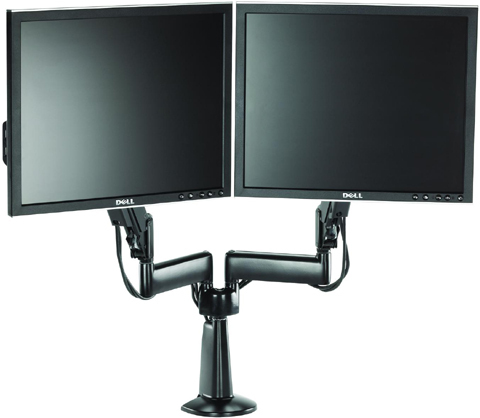 Add 2 extensions to install 2 x 24" or larger monitors, each under 15 lbs, without pedestal. Chief KCY220 works fine with 2 x 24" monitors. Maximum Weight Capacity is 40 lbs total or 20 lbs per monitor. 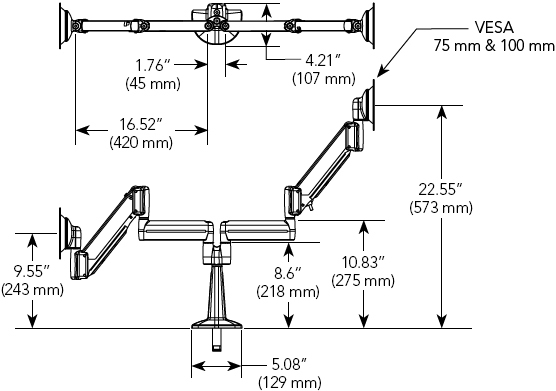 Advantage: You can add one Extension KSA1003 per Arm on Chief KCY220 in order to increase 6.5", so Maximum Horizontal Reach is from 20" to 26.5". This helps better adjusting of two large monitors. 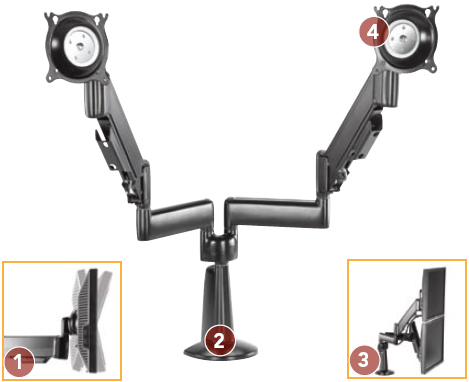 You need to know that adding one Extension reduces weight capacity of 5 lbs per monitor so Maximum Weight Capacity for KCY220 plus one Extension per arm is 15 lbs per monitor. using the screen's center of gravity. Screen angle stays set until you decide to re-adjust. 5. 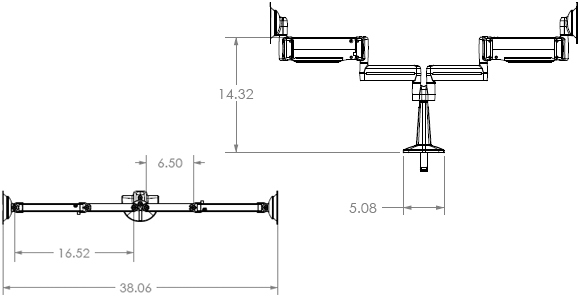 Adjustable tension in individual pivot points, touch screen compatible.